New York Post Albany bureau chief Fred Dicker is writing a book about Governor Andrew Cuomo for HarperCollins, the New York Post reports. 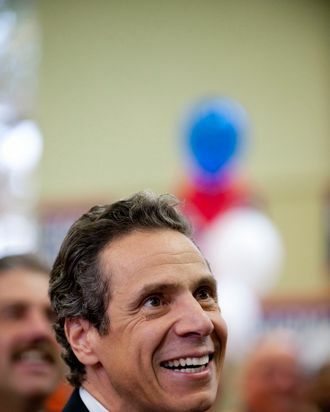 (Both the Post and the publisher are owned by News Corp.) Cuomo will cooperate with the Dicker project, but is reportedly undecided about his role in a biography being written simultaneously by Vanity Fair’s Michael Shnayerson. Both books are due out around 2013, at which point the premature presidential buzz can really get going.